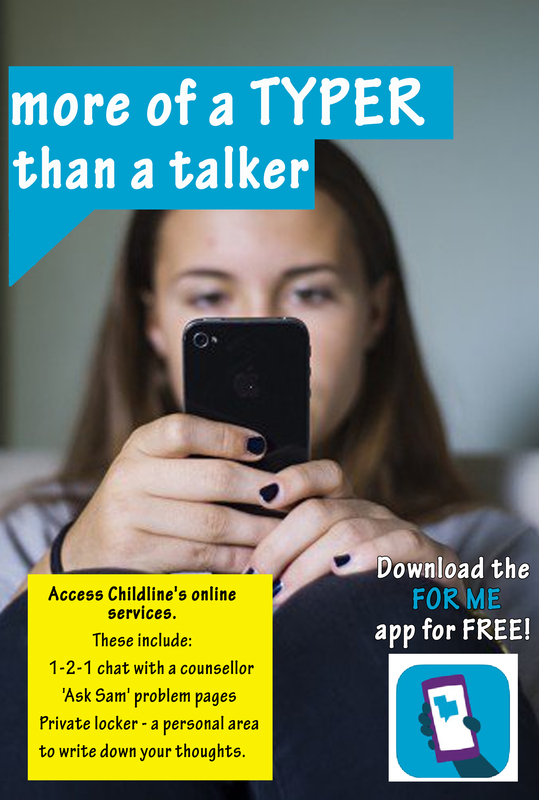 Childline has launched an app to provide counselling to young people in need of help directly through their mobile devices. The app has been named ‘For Me‘ to ensure that it can be discreetly installed, this means that if someone happens to see the young person’s phone they can’t tell it’s a Childline service. ‘For Me’ was created by 4 teenagers who realised there was an urgent need for young people to have easy access to confidential advice and support. The app, developed in partnership with Barclays, is now available as a free download so young people can easily access Childline’s online services. Private locker – a personal area where young people can track their mood and write down their thoughts. Schools may wish to share and highlight this app with pupils and staff; for example via the school website, newsletters or information around the school. 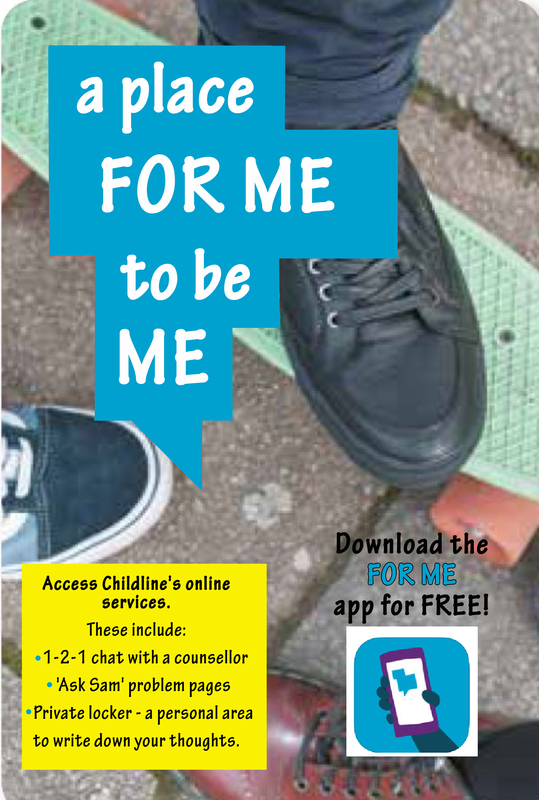 Canterbury College have created two posters to help raise awareness of the “For Me” app with their students, which other schools/settings may find helpful to print and use. This entry was posted in Apps, ChildLine and tagged Apps, ChildLine, Pupils, Students, Support, Young people. Bookmark the permalink.